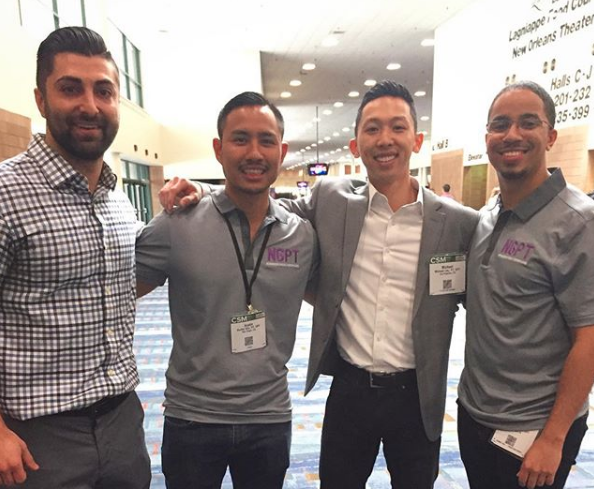 Physical Therapists Michael Lau and Arash Maghsoodi prove that it’s possible to leverage a background in physical therapy to build a successful business venture. Alongside fellow PT Crag Lindell they founded The Prehab Guys, an online platform with an educational purpose. All three founders wanted to combine their love of orthopedics and sports with a drive to entrepreneurship. Their audience includes not only laypeople, but also student PTs and clinicians. The group began on Instagram, and this was the site of their biggest success initially. However, because of the nature of Instagram’s API, which allows them to connect their Instagram posts with their Facebook and Youtube pages, they were able to use their success here to help build their following on other platforms. What advice do they have for other entrepreneurs in this field? Arash says it’s important to find your niche. Also, according to Michael, it’s better to implement your ideas now – do not wait for the right moment or for permission. Arash agrees, and says the best time to do this is right when you've finished school: “high risk, high reward,” as the saying goes.